Every now and then you get to be a witness to a story that changes the way you think about love. And let me tell you, it's just about one of the most magical experiences a person can have. 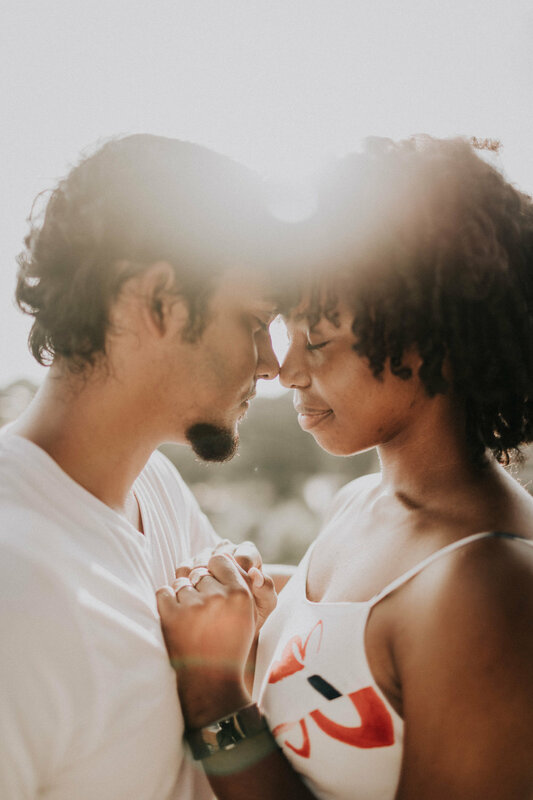 I've been holding out on publishing this proposal post, because I wanted to make sure I would do this love story justice. 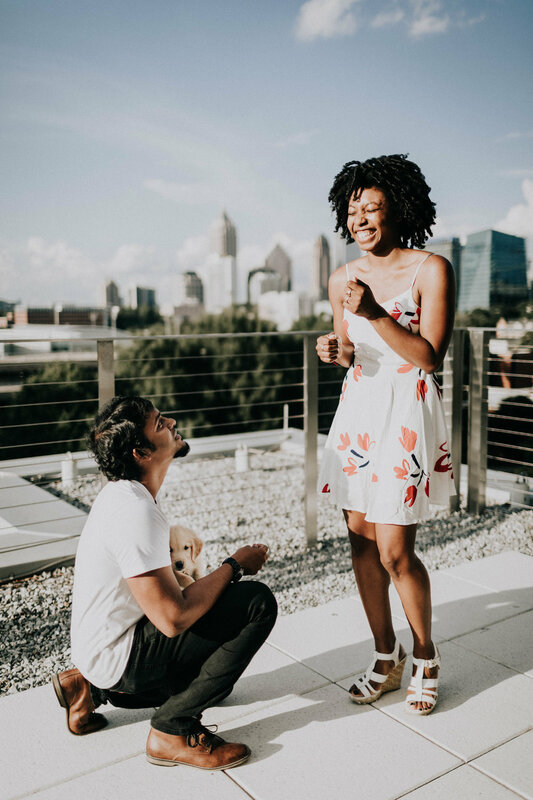 I had the absolute honor to capture the Georgia Tech proposal of Roshan and Candace (or as they're known to friends and family #Candoshan) back in mid-August. To be a part of such a sacred moment in their relationship is something I will never take for granted, and I'm so thankful to be sharing their story with you all. 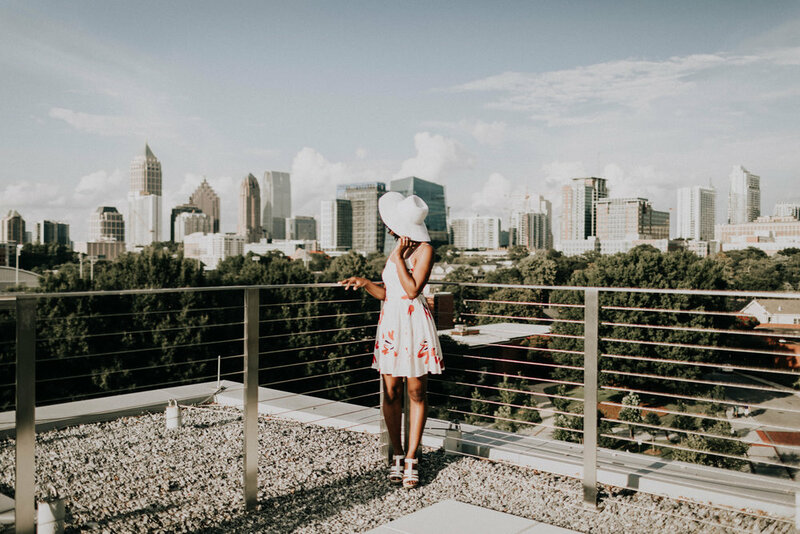 Candace and Roshan met during their first semester at Georgia Tech: an aspiring architect from Atlanta and an aerospace engineer from Malaysia, both trying to find their way during this crazy new chapter of their lives. As they grew closer, these two created a bond that has made them inseparable for the six years since they first began their relationship. I had the pleasure of getting to know these two over our shared years in school, and I've watched them grow through the late nights of studying, studio, dance practice, and dining hall visits. So when Roshan approached Ed and me about photographing his proposal to Candace, I couldn't contain my excitement. 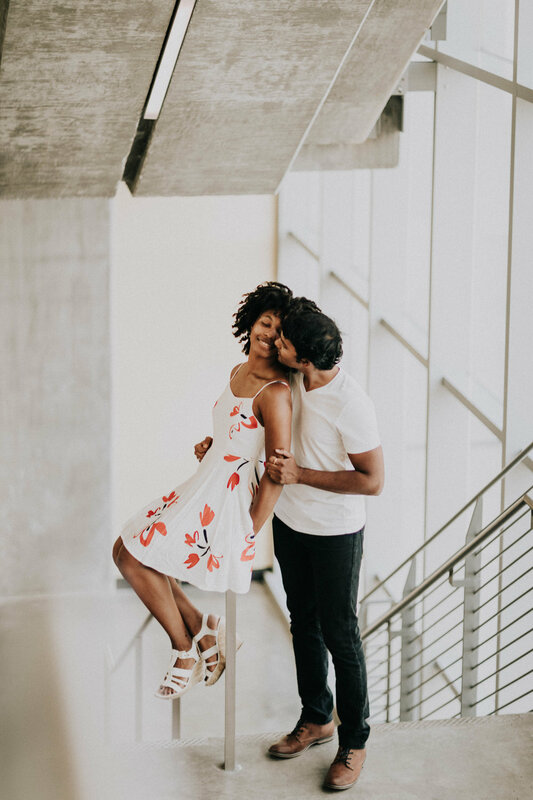 For the weeks leading up to the proposal, the three of us met in secret, discussed engagement details, and went location scouting where Roshan practiced proposing to Ed (while I had myself a good laugh). When the day finally came, the moment was even better than I could have ever imagined. Roshan even brought along their new golden retriever puppy, Simba, who kept the engagement ring on his collar. 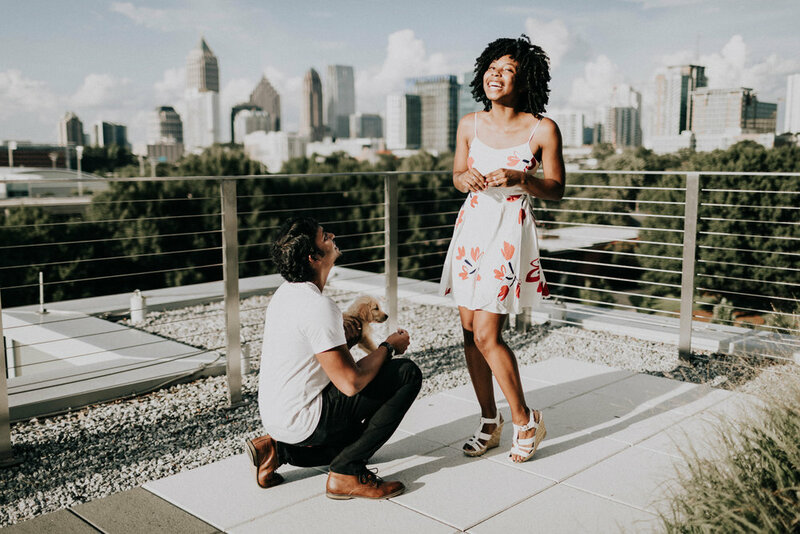 The proposal happened on a rooftop garden on Georgia Tech's campus; the same rooftop where the two of them shared their first kiss several years before. A total tear jerker. Honestly, you can't help but fall in love with these two. You see, these two have been through six years of some of the most testing challenges. Their love has literally spanned oceans. But despite the obstacles they've faced, they have consistently stayed true to what is most important: their bond to one another. Guys, proposals have a very special place in our hearts. If you're looking to propose to your boo, drop us a line. It would be our honor to capture the beginning of your new adventure. Proposals have a very special place in our hearts. Like what you see? 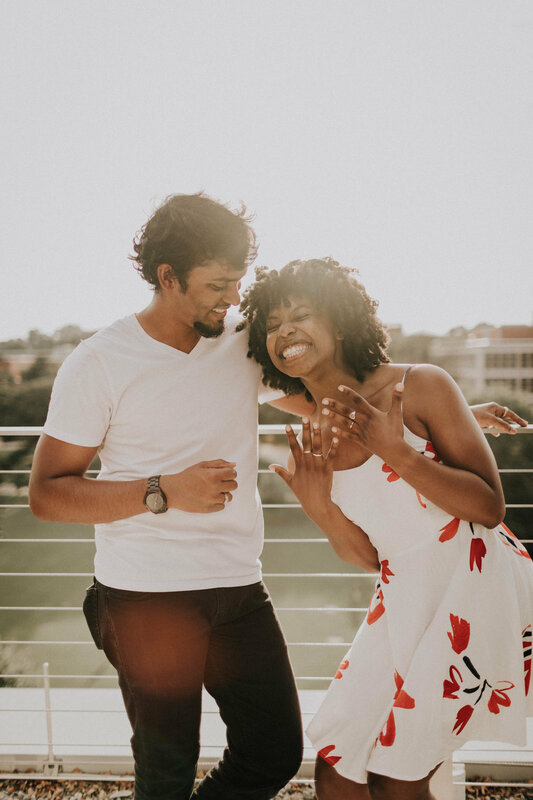 Interested in having us photograph your proposal? Drop us a line. It would be our honor to capture the beginning of your new adventure.